Little Library at the Grand! 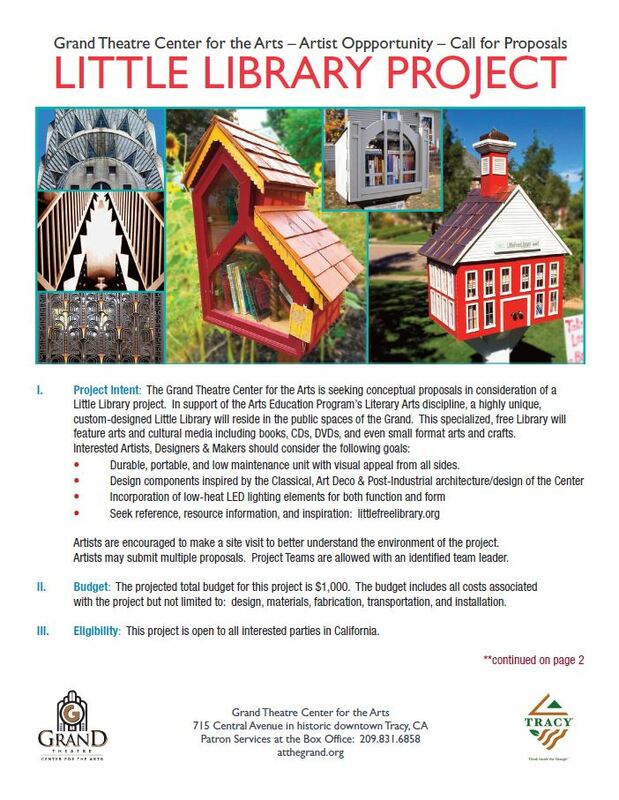 The Grand Theatre Center for the Arts is seeking conceptual proposals in consideration of a Little Library project. In support of the Arts Education Program’s Literary Arts discipline, a highly unique, custom-designed Little Library will reside in the public spaces of the Grand. This specialized, free Library will feature arts and cultural media including books, CDs, DVDs, and even small format arts and crafts. Artists interested in being considered for this project must submit materials prior by the deadline of: Wednesday, May 1st, 2019 at 6 pm. Please download/view the Little Library eCFP for more information and how to submit a proposal!